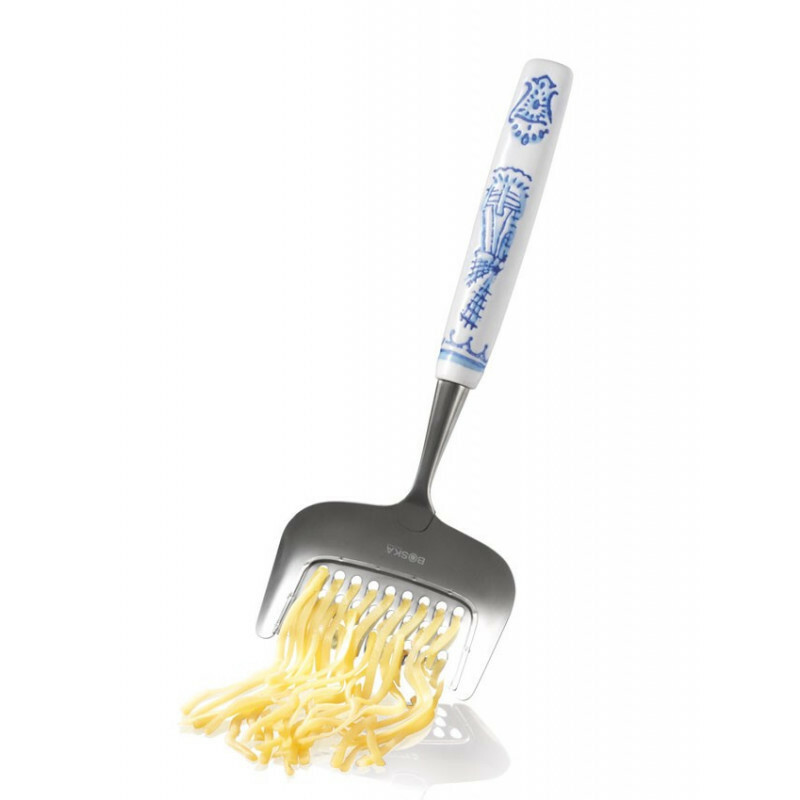 Part of the exlusive Dutch Collection, the Cheese Grater Delft Bue has a hand-painted ceramic handle with a Delft blue design. True cheese lovers always serve freshly grated cheese, and with this slicer, grating becomes a true Dutch experience. Perfect ribbons of cheese every time with the durable stainless steel sheet. This grater is dishwasher safe, and comes with a 10 year guarantee.